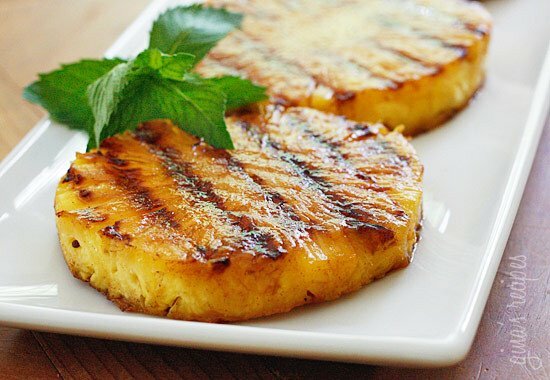 Grilled pineapple with honey, lime juice and cinnamon. 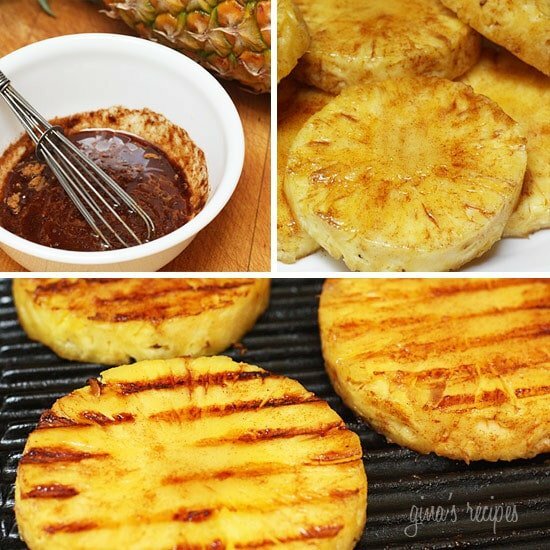 Pineapple is delicious on it’s own, but if you want something quick and easy to make for dessert this summer, try grilling it and serving it with some ice cream on the side. Fun for backyard parties! Heat the grill or a grill pan. 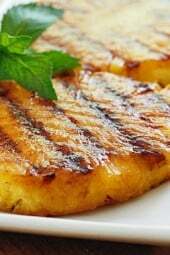 Lightly brush the pineapple with the marinade. Grill turning once and basting once or twice with the remaining marinade, until tender and golden, about 3-4 minutes on each side.